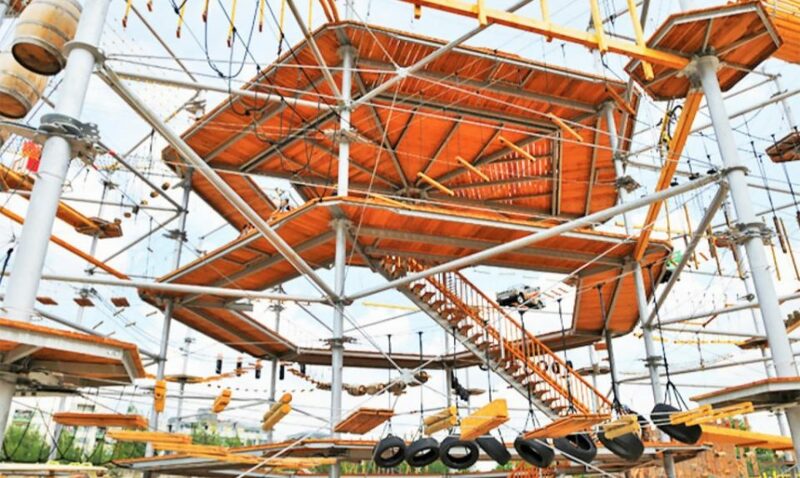 In the words of venerable modern philosopher Ice Cube, ‘it’s on like Donkey Kong’ – literally – at Berlin’s Mount Center climbing park, which features elevated platforms that look an awful lot like those seen in the classic video game. 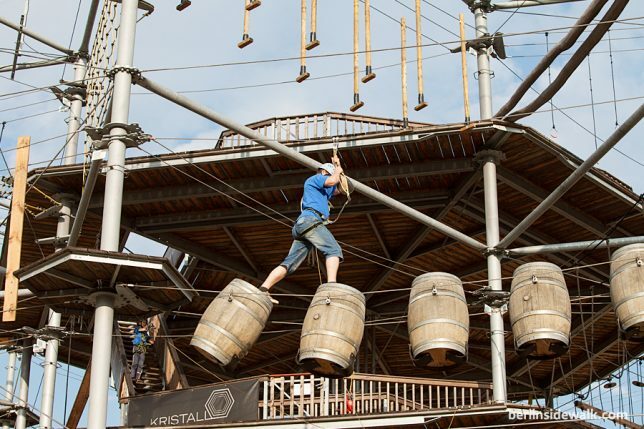 Located in Mitte, the city’s hip central borough, the park offers a massive parkour course that takes visitors higher and higher up into the sky, amidst suspended vehicles and other recycled objects. 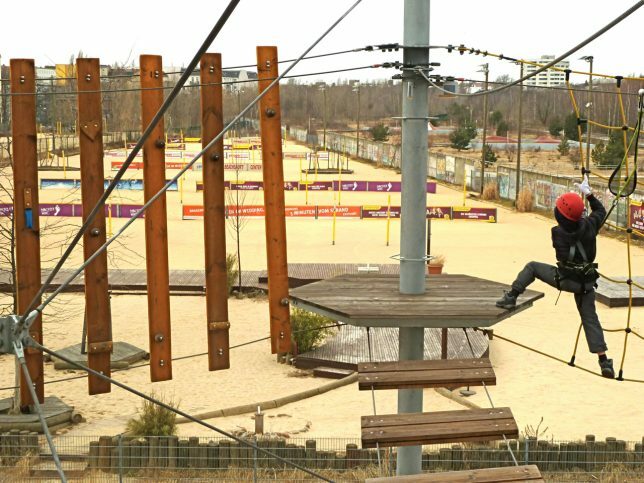 The park opened back in 2010, and features six different courses of varying levels of difficulty that may also remind some people of the courses on the reality television competition American Ninja Warrior. 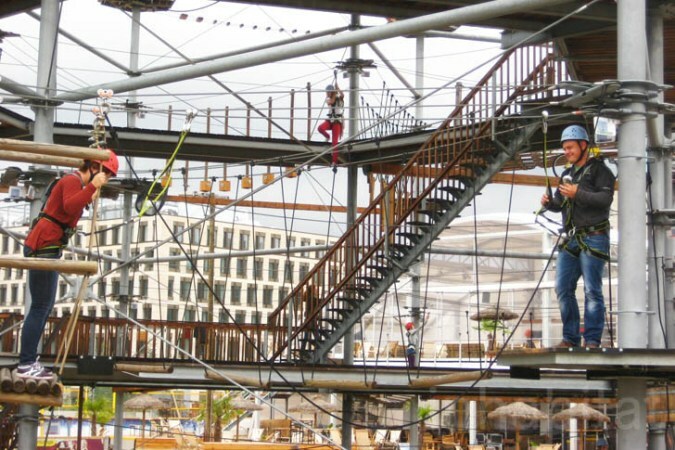 If you’re not exactly a parkour master, you can take a short training class before they use throw you out onto this open-air system of ropes, barrels, tires, platforms and bridges.